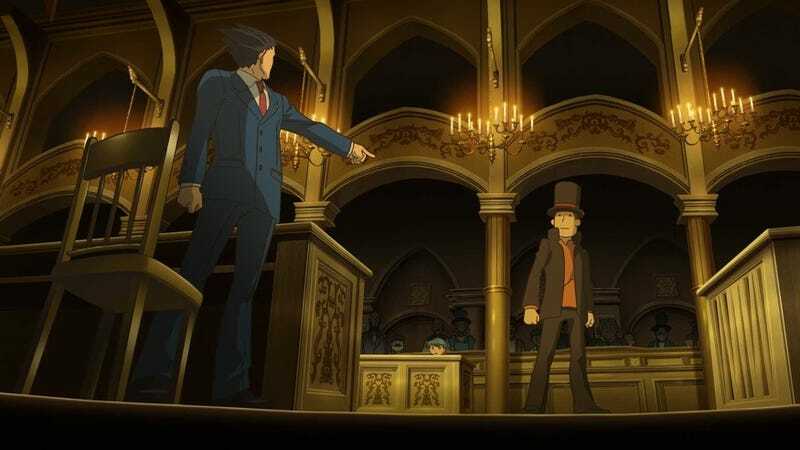 Upcoming 3DS game Professor Layton vs. Ace Attorney has some special downloadable content available to players once they finish the game. According to a Japanese game magazine leak, the content includes the game's unedited script, which is written by Ace Attorney lead developer Shu Takumi. There's also a "Puzzle Solution Mode" and a bonus gallery of outtakes. Neat Easter Eggs for those who complete the game!